HiFi-Mini-PA 6/2 is designed by Bernd Timmermanns. 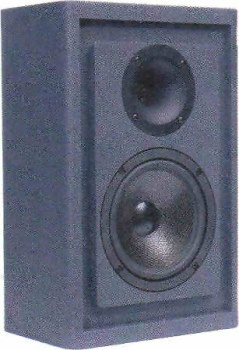 It is a compact speaker cabinet that contains a Monacor img stage line horn and a mids bass. A bassreflex enclosure design has been used. The crossover consists of third-order filters for woofer and horn tweeter. In parallel to the woofer an absorption curcuit is used to suppress unwanted resonances. The frequency response of the speaker-system is nearly flat; the decay spectrum is very good. The kit with high-end crossover contains Mundorf baked varnish air core coils except for the absorption curcuit. As capacitor in series to the horn Audaphon polypropylen foils capacitors are used.